Weather conditions in the early part of 1975 had been unpredictable, with the winter being damp and snow falling in March. This seriously delayed the bud break of the vines, but temperatures improved towards the end of April and flowering was achieved as planned. August saw stormy weather set in, but otherwise the summer was sunny and warm and continued until the harvest commenced on the 29th of September. From a fair weather start the weather quickly deteriorated, delaying picking until the start of October, and forcing it to be completed quickly. The resulting yield was smaller than usual but the wines were nothing short of fantastic and widely lauded as one of the Champagne vintages of the century. Extremely fresh acidity balanced the fruit filled palate and complex creamy blending. Alongside the characteristic toast, brioche and hazelnut of a Dom, red fruits, vanilla and gingerbread rounded out the fleshy palate. An extremely long length signalled a vintage wine with the ability to age for many years to come. The 1975 Rosé, like the previous few vintages, was extremely dark in colour, in this instance giving a sweet confectionate nose of flowers and peach. A low acidity allowed the full fruit palate to come to the fore, with wildly varying notes of strawberry, redcurrant, blackcurrant and plum. A full and rich feeling in the mouth supported the long finish carried by concentrated sweet fruit. The vintages would reach the market in 1983 and 1985 respectively and were, like the 1973 vintage, presented in revamped packaging to stimulate the flagging market. The green hinged boxes that stood out on shelves and kept the wine protected would continue to be used (with variations) up until the 2002 vintage. Two variations were still in use at this time (pictured above and below) – the first a card gift box with simple red interior, and the second the classic hinged box with beige interior and neck brace to secure the bottle. Whilst the shield logo sticker securing the box would refer to the vintage within, the actual boxes didn’t contain any reference. This meant that they could be used over multiple years, and it wasn’t until the 1983 vintage that the box itself provided the vintage year. 1976 represented the 40th anniversary since Dom Pérignon had been launched commercially. After a cold spring the weather changed completely and the sun came out and stayed until October. The memorable long hot summer resulted in an extremely ripe and extremely early harvest. Traditionally the gap between flowering and harvesting is 100 days, but the process was completed in just 84 days, commencing on the 1st of September. The pale straw yellow colour of the wine hinted at the wealth of aromas on the nose which, alongside honey and butterscotch, added darker hints of raisin, mushroom, new leather and blond tobacco. The palate was full, deep and warming, beginning with bitter orange and melting away to toast, nutmeg, walnut, and some light spice. Due to the warmth of the weather throughout the growing season the well ripened grapes lacked acidity and the 1976 will be remembered as powerful and austere with a great length. The super-ripe grapes weren’t deemed fitting enough for a Rosé vintage, and so the normal vintage was the only expression of the year. After 8 years maturing in the cellars, it was released in 1984 to a market beginning to surge with the Champagne excesses of the 1980’s. Following two years of triumph came a year of damp and dismal weather. Not only would 1977 be a write-off in terms of wine production, it would also mark the end of the on-screen association with James Bond. The July release of “The Spy Who Loved Me” marked the final time the two brands were seen together on film (they did partner together again in 2008 to mark the centenary of Ian Flemings birth). Breaking with tradition, Bond didn’t drink the latest vintage available, instead opting for the 1952. This was the earliest vintage that Bond had expressed a preference for (excluding the false 1946 vintage tasted in the Moonraker novel). His switch to a preference for Bollinger Champagne was never fully explained, but it was reported at the time that there had been a falling out with film producer Cubby Broccoli. As the switch from one brand to another came at the same time as product placements in films began to take off, it’s more likely that Bollinger were willing to pay for the privilege of association. Certainly Bollinger take out print adverts for each new collaboration, which is not something that Dom Pérignon ever played upon. If Bond was after the finest Champagne he naturally gravitated to Dom Pérignon. The vintage of 1978 nearly went the same way as 1977, only to be saved at the last minute by a warm September. Harvesting commenced on the 9th of October for the Pinot Noir and the 11th for the Chardonnay. Due to damp and cool weather for the majority of the growing season, uneven flowering, rot and under-developed grapes were all an issue, resulting in strict grape selection and a low overall yield (at the time of writing, still the smallest of the post-war years). As an additional note, the yield was so small that, many years later when Dom were releasing back vintages for their Oenothéque range, they had to skip the 1978 as there simply wasn’t enough. Upon release the vintage was characterised by both high acidity and higher alcohol Pinot Noir grapes. Champagne expert Tom Stevenson described the vintage as “luscious, silky soft (with) creamy vanilla fruit”. Both the high acid and distinct Pinot notes also characterised the 1978 Rosé adding to the powerful and concentrated fruits. The busiest decade for the brand so far ended on a quiet note. The start of 1979 had been extremely cold, and was followed by a spring plagued with frosts. During summer the temperatures perked up and some short lived, but respectable vintage wines were crafted by a small number of Champagne houses. Dom Pérignon wasn’t among them. Following on from the packaging changes and the declaration of the 1969 vintage, the following two years provided another first for the brand. Although the ever-changeable weather influences at such a northerly latitude were still present, the eventual declarations of the 1970 and 1971 vintages gave Dom Pérignon its first ever hat-trick. This may not sound such an incredible achievement today (having just come off the back of two such instances), but when you consider that up until this point Dom had only been produced in two consecutive years on just three occasions (1928/1929, 1952/1953 and 1961/1962), getting three consecutive years was unheard of. In a world of uncertain production where something as simple as a badly timed hail storm could wipe out an entire years work, it was also very welcome. Following the difficult 1969 weather and the subsequent late and lower yielding harvest, the weather in Champagne throughout 1970 wasn’t looking to fare much better. Cold temperatures throughout spring pushed flowering back, perhaps helping the vines miss the worst of the storms that hit in June. Once the rains had passed, a warm summer buoyed along the vines and harvesting began on the 27th of September. After the small crop of 1969, the harvest of 1970 thankfully provided both quality and quantity. The resulting wine was fresh and vibrant, with grapefruit, floral and flowery hints to the nose. The palate was more austere being characterised by caramel, toasted almonds, brioche and white chocolate, and described as savoury, yet elegant. The finish, whilst described as ‘haunting’ was also noted as being fairly short. No 1970 Dom Pérignon Rosé was produced (being more Pinot Noir dependant than the vintage wine) meaning that, unlike the vintage wine, it didn’t achieve the hat-trick of releases. At the time of writing it still hasn’t managed to achieve this feat, coming closest only with the consecutive vintages of 1985/1986, 1992/1993 and 1995/1996. The year of 1971 presented something more of a challenge and, after a cold dry winter, spring frosts arrived and inhibited new bud and shoot growth across most of the vineyard. The vintners could perhaps have been forgiven for thinking the year would be a write-off when heavy storms arrived in May and June, just when the vines were beginning to flower, but drier conditions in July and only minor storms in August started to turn things around. Harvesting took place from the 18th of September in sunny and warm conditions, and produced another sizeable crop. As if being rewarded for their hard work battling against the elements, the wines produced were superb, with prominent wine critic Michael Broadbent hailing the Dom 1971 as better than the great Dom 1961 (and even as good as the renowned 1928 Krug). The vintage wine was full of the toast and sweet honey citrus that defines a good Dom, as well as earthy tones of mushroom, undergrowth and warm notes of wood smoke and vanilla. Marked acidity, a good depth and long finish completed what was close to being a classic Dom Pérignon. The Rosé was characterised by its Pinot Noir content, being a deep pink in colour, and full of smoke, spice, coffee and chocolate. The following harvest of 1972 had it all – but not in a good way. A cold spring led to late flowering and, whilst there was some warmer weather in July, it was far from what was needed. This was further hampered by a cold and wet August, and a lacklustre September and October. Harvests were late and unremarkable. This poor year wasn’t, however, lamented by Moét too much at the time thanks to the previous three years. These had ensured that between 1976 and 1978, and further beyond, the marketplace was full of exciting new vintages to try. The spring of 1973 saw little frost thanks to evenly spread warm temperatures throughout, and the sun continued to shine all the way through summer and up to harvest time. Conversely this warmth worried the winemakers as much as the years when poorer weather prevailed. Vines need a good supply of water to grow, develop, and aid the growth of the grape clusters, and the limited irrigation from low rainfall was potentially as detrimental to the vines as any damage caused by a hard frost or bad storm. After a nervous wait in September the heavy rains arrived and the grapes were ready to be picked from the 28th. The harvest went on record as the 2nd largest Champagne vintage of the 20th century, so the key for producers was to carefully sort the rotten grapes from the ripened ones, and handle well the diluted juices swelled by the rain. Moét winemaker Dominique Foulon described the vintage wine as characterised by honey, lemon and lime, preserves and plums. Powerful on the palate, with vanilla characters and a marked roasted coffee and spice finish. The Rosé was again a Pinot Noir influenced deep pink, with clean red fruits on both the nose and palate. The palate delivered a fruity persistence, and a good acidity to balance out the alcohol. Whilst it is honour enough to be declared in the first place, the 1973 ended up being a ‘middle of the road’ Dom vintage, and the following rain hit harvest of 1974 would go undeclared. These, however, wouldn’t be the only worries for Moét to navigate at the time. They coincided with the worst recession since the 1920’s, signalling the end of the post-war economic boom. Widespread unemployment, high inflation, spiralling oil prices and a stock market crash ensured that the key export markets of the UK and the USA were tightening their belts, and Champagne sales slumped accordingly. This was exactly the world that Dom Pérignon had been launched in to in the 1930’s, as a glamorous respite to the austerity. The question emerged – could it do it again? Food lovers everywhere will have some knowledge of the ‘Delia effect’. This is the rushed purchasing of non-everyday ingredients that cookery legend Delia Smith has used in her recipes. Following the broadcast of her TV tutorials, literally thousands descend upon supermarkets and wipe out the entire stock of odd items such as pine nuts or glacé cherries. Last month this phenomenon hit the UK wine world following the broadcast of popular cookery show Saturday Kitchen. As usual, a wine expert (more often than not either Peter Richards, Olly Smith, Tim Atkin, Susie Barrie or Suzy Atkins) is on hand to match a suitable bottle to the meals prepared, to which both host and guest display courteous compliments. The televised episode on the 4th July however, caused the Majestic website to crash, and led to their biggest ever online sales hour, taking 1000 orders for this particular wine. The sensational instant demand was akin to getting a top Parker recommendation mixed up with a Kim Kardashian ‘break the internet’ attempt. Three hours later, the entire Majestic stock of this wine was wiped out and they had taken back orders for a further 30,000 bottles. So, what is this amazing wine? At the beginning of 2015, Holly Ninnes (Majestic wine buyer for Portugal) added a new wine to their range – Porta 6. Hailing from the sunny hillside vineyards of Alenquer and Cadaval in Lisboa, north of Lisbon, the wine is a blend of 50% Tinta Roriz (aka Tempranillo), 40% Castelao and 10% Touriga Nacional. The 2012 spent 3 months in oak barrels and clocks in at 13.5% abv. The wine was quickly picked out by Decanter magazine (Feb 2015) as a ‘Weekday Wine’ – an exciting and accessible wine at a decent price-point. 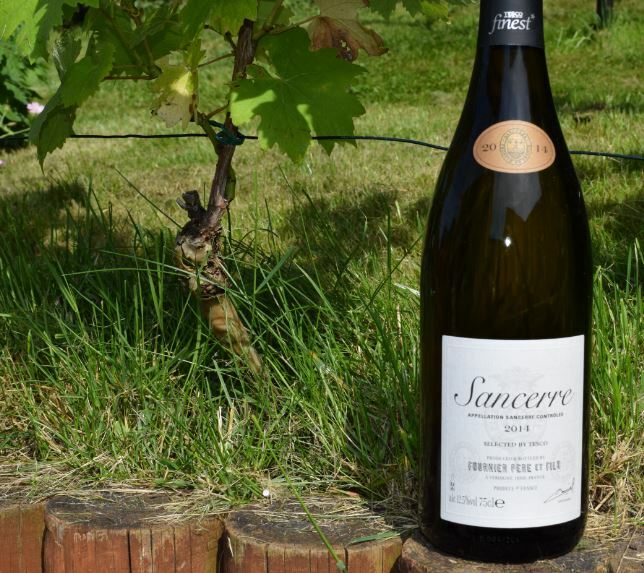 This wine was then picked last month by wine expert Susie Barrie MW to go with the Saturday Kitchen dish of barbecued lamb, salsa verde, tomato salad, toasted couscous and fromage blanc (you can find the recipe here). Saturday Kitchen presenter and chef James Martin was clearly pleased, stating that it was one of the nicest wines he’d had in ten years of doing the programme, and had bought 3 cases of it for himself! Majestic were then subsequently besieged with orders and ended up buying all remaining stock from the producer – some six times their original consignment. After being virtually out of stock since, the Majestic Twitter feeds have this week been chirping that it is now available again. I decided to pick up a case. Before we get to the contents, first mention must go to the wonderful label – an original painting by eccentric German painter Hauke Vagt, giving a colourful depiction of a tram thundering around the corner of a tight rustic cobbled street. The bottle itself is fairly weighty – something which has both positive (prestige) and negative (additional cost and environmental footprint) connotations, depending on your viewpoint. When twinned with the great label, I’m erring on the side of prestige, as they seem to be mindful of a well presented package. The bottle would make a great gift – if the wine lives up to its’ reputation! The appearance is a deep dark, inky purple. The nose is equally deep, with a big dollop of wood and vanilla combined with dark ripe red fruit, raspberries and cream. Alongside this you have a darker undertone of plum and pepper spices. The initial palate is full of weight, with creamy fullness, vanilla and violets and followed by dark cherry and currants, spice and densely packed forest fruits. I want to highlight here the distinction of weight from power, as this wine is a lolloping, rich and creamy dream where everything flows gently in to one another, as opposed to being a hit of flavour and then dissipating. Tannins are medium, slightly grippy, but nicely round out the mouthfeel and guide the length of the wine which is amply carried by clean ripe fruit, and built upon with touches of bitter chocolate. You also get a good reminder of the overall warmth of the palate, coming from both the alcohol content and the pleasing ripeness of the combined fruits. A refreshing acidity runs through this end palate which makes you yearn for the next taste, or mouthful of food. Overall, this is a great wine and one that will definitely make it on to my shortlist of everyday recommendations. It helps that it is a style that I really enjoy and will be a sound alternative to my usual staples of Argentinian Malbec and aged Rioja’s. Well worth the price. Porta 6 is available from Majestic, currently on offer for £7.49 when you buy two bottles (£9.99 for a single bottle). Here’s a quick update on my vines as we approach the middle of the month, and the lead-up to picking in approximately 8 weeks’ time. Both the Chardonnay and Ortega have failed to give any fruit – these are my newest vines and not yet 3 years in the ground, so this is to be expected. I had begun the season hopeful, especially with the Chardonnay which was very healthy, budded early, and showed characteristic vigour but, alas, it will have to wait until next year. This leaves my Catarratto, which has been equally as vigorous as the Chardonnay. 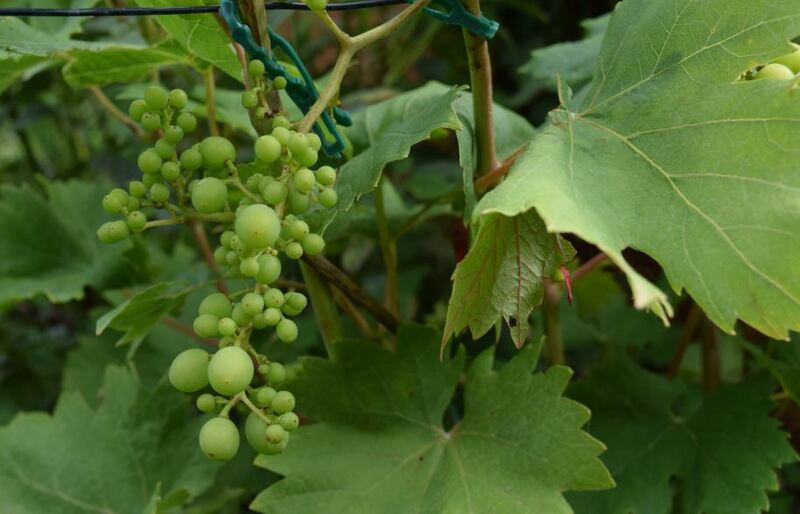 Many bunches are forming well – some individual grapes growing faster than others (as can be seen in the below picture). At this point I have in the back of my mind the word ‘millerandage’ which concerns bunches forming of grapes of different size and maturity, but all seem to be at the same stage of ripeness, so for now I believe that it is simply part of the growth process. Now my full concentration is on the one variety, the next month will all be about getting the water availability right, as well as any canopy trimming I need to carry out. The weather since my last report has been more aligned to a British summer with many instances of rain (one extremely heavy day) and, whilst we have still seen warm days in the late teens / early twenties celcius, there has been widespread and continued cloud cover. More rain is forecasted ahead. That said, all my winemaking equipment is sitting waiting to go, and I have my refractometer on standby! A splendid time is guaranteed for all……! Last year I had the pleasure of doing a short holiday trip around some key UK vineyards within the counties of Surrey and Kent, whilst visiting relatives and a attending a few other commitments. Amongst others, the trip saw visits to Denbies, Chapel Down and Biddenden, and all were filled with lovely people, opportunities to try (and purchase) new wines, as well as touring vineyards, and photographing some lovely scenery. This coming October sees me attending a wedding all the way out at Lands End in Cornwall (the most south western point of the UK), and this gives me the perfect opportunity to do a further styled trip and visit some of the more extreme vineyards that I’ve heard about, but not yet been to in person. From where I am in Newbury, the trip to Lands End will take circa 6 hours by car so, to break up the journey I have extended the trip to 5 days to take account of driving, sight-seeing, and then the main event of the wedding itself. This allows me (in amongst other sight-seeing attractions, which aren’t in short supply in the surfing and seafood capital of the UK) to fit in a fair few visits. Armed with my UK guide to Vineyards 2010, I have begun prepping out my potential route which will take me through the county of Dorset, in to Devon, perhaps deviating to Somerset, before landing in Cornwall. As I have already been through Kent and Sussex, and live very near (and have visited) both Hampshire and Oxfordshire, this will give me extremely good coverage of what’s happening in the south of the UK. Dorset – English Oak Vineyards – An estate specialising in producing sparkling wines, and growing 14 different clones of Chardonnay, Pinot Noir and Pinot Meunier. Growing over 23,000 vines, the vineyard apparently appeared in the popular BBC2 series of Oz and James’ wine travels. I have the DVD of this series, and will have to dig it out! Cornwall – Knightor Winery – This one doesn’t actually feature in my 2010 book, so is a fairly new addition. Low grape yield ensures that this is a premium quality, limited edition affair, and one that UK wine critic Matthew Jukes is all in favour of. The produce is all of rosé, white or sparkling, and the varieties include such northern latitude grape stalwarts as Bacchus, Madelaine, Siegerrebe, and Schonburger. A couple there to add to my list of new grape varieties tried! Cornwall – Camel Valley – The big one, an absolute not-to-miss vineyard, named after the local Camel River. 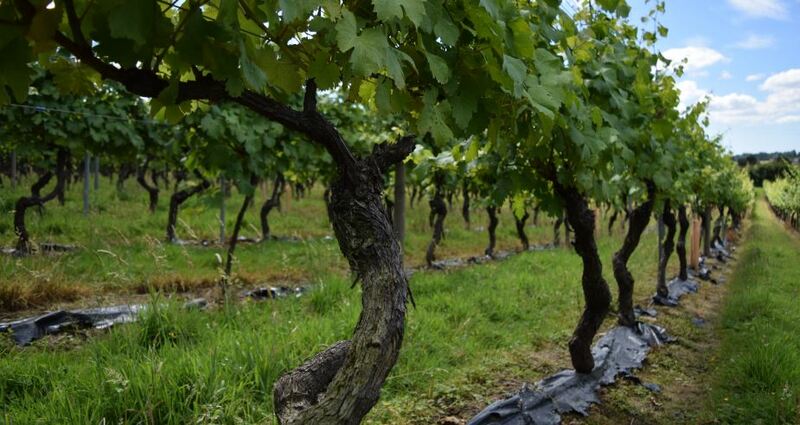 In operation since 1989, as well as being Cornwall’s biggest vineyard they have amassed a sizeable clutch of awards (including Decanter and the IWWC) and are hailed as one of the leading UK producers of wine. I probably have room for one or two more wineries in this trip and would welcome suggestions from readers as to any they have visited or recommend. At this time my travel diary remains fairly fluid and can accommodate any in the lower western counties of the UK.